Last year’s champions Connemara Gaels (green), in action against Shannon Blues, in the opening round of the Boston NE Football Championship, at Canton on Sunday. (Photo by Rory O’Donnell). … Well, at least not last weekend. 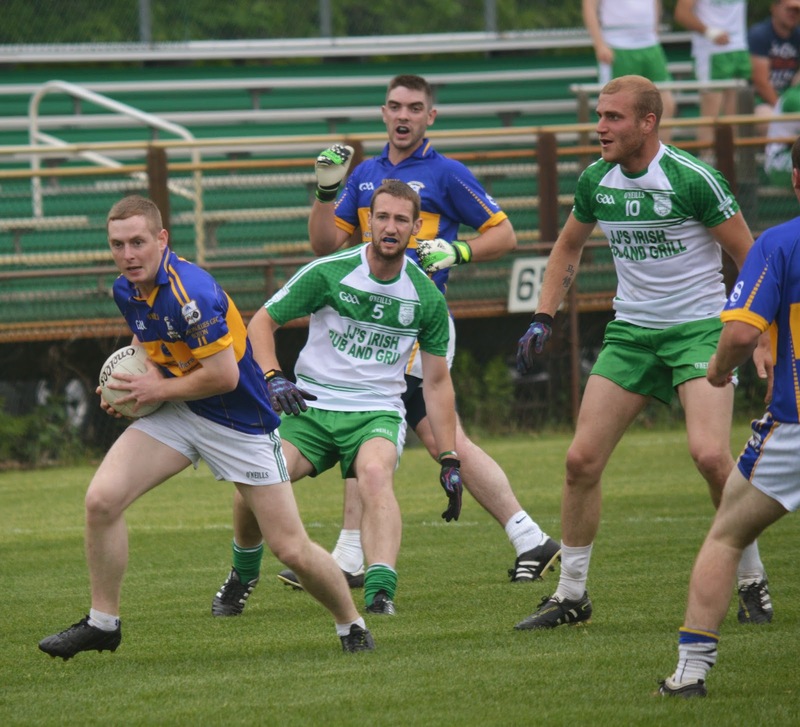 In the Podcast Boston GAA PRO, Rory O’Donnell, gives us the lowdown on the start of Boston Northeast GAA Men’s Football Championship, and also reports on the local GAA’s honoring of the US combat veterans and hurling team, the Barley House Wolves at Canton, MA on Sunday.